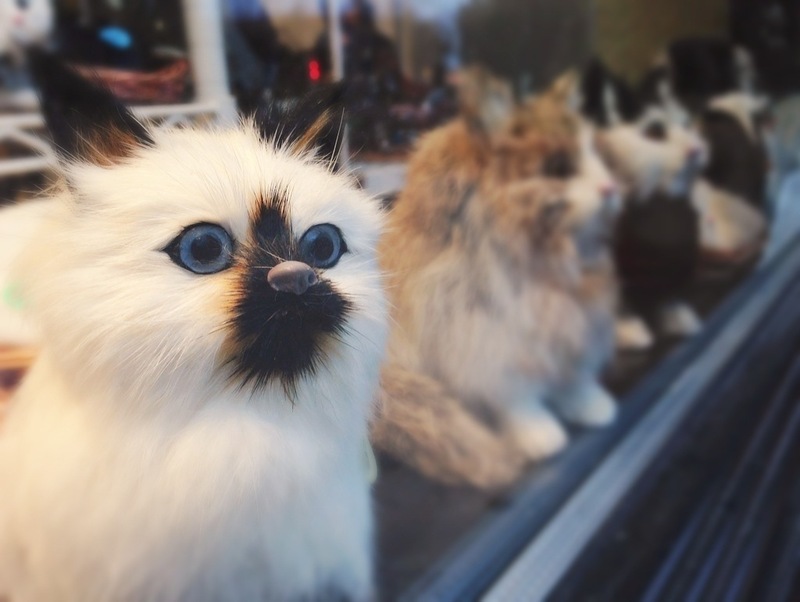 There is a pet supply store in downtown Saint Paul that keeps their windows filled with stuffed cats. Rows of them. So cute and so horrifying. This is day 98 of Photo 365. This entry was posted in Photography and tagged Photo 365, Saint Paul, Sonnen's Pet Supply. Bookmark the permalink.